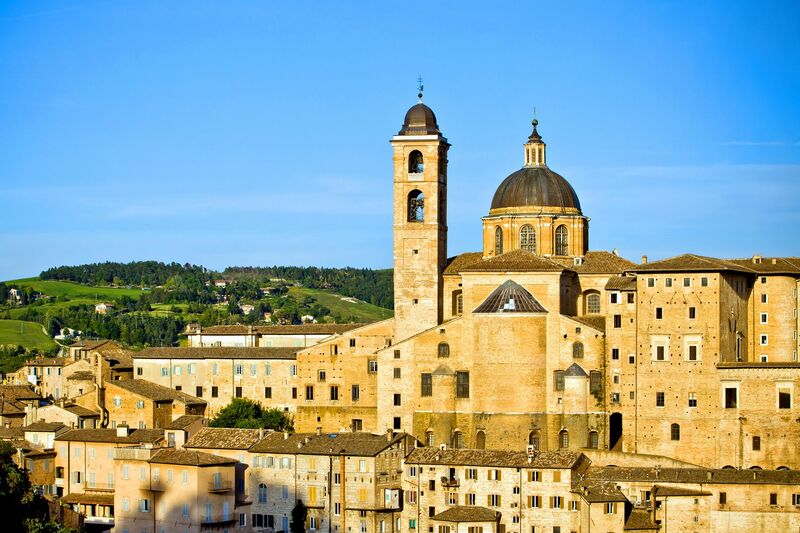 After being under Greek and then Roman rule, the Marche region's heyday was during the 15th century, when it became one of the biggest centres of innovation of the entire Renaissance. 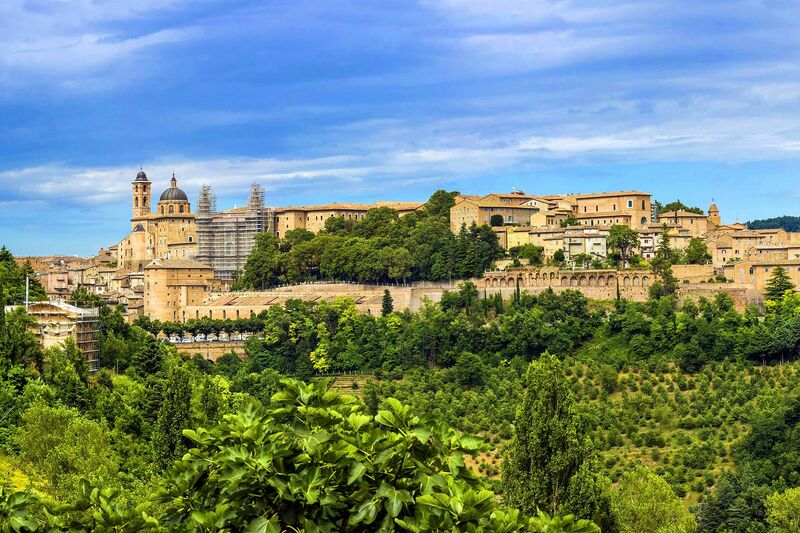 This is best reflected in the impressive architecture of the Urbino Ducal Palace, which epitomises the Renaissance spirit. The court of Federico da Montefeltro, a duke, patron of the arts, and mathematician, is also worth a visit for those interested in the Renaissance. Nonetheless the region has more than just museums and art galleries to offer. Its mountainous landscapes, hills, and nature reserves provide the perfect surroundings for long walks, and stretch all the way down to the Adriatic Sea. The beaches along the coast are popular with tourists during the summer months. Famous across the globe, ascolana olives are typical of the province of Ascoli Piceno. You will often find them stuffed with meat and then fried, a dish widely enjoyed by the locals. Although on the coast most things are based around seafood, as you move inland, the flavours become more varied. When visiting the Marche region, you'll find the 'vincisgrassi' impossible to resist. A lasagna made with meat and tomato sauce; it is usually prepared with browned garlic, onion, celery, carrots, and a mix of bacon and ham, to which chicken and crushed tomatoes are then added. Once the layers of lasagna are ready and separated by the meat-based tomato sauce, the dish is covered with a layer of béchamel sauce and placed in the oven. Along the entire length of the Marche coast there is a mix of tiny villages and large cities where in summer, throngs of tourists mingle with the local fisherman, who still use tradtional methods to supply the region with all its fish. Here, the speciality is fish brodetto, which is prepared slightly differently from restaurant to restaurant.